First Love, Second Chance premiered on TVL on March 10, 2010. This show eunites former flames to give them a shot at rekindling their romance. They take turns living in each other's world while reconnecting, reminiscing, sorting out what they once had (and what drove them apart) - and imagining a future together. 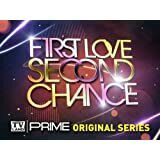 Finally, they head back to their own homes and make a decision, which each sweetheart sends via video: Do they want to call it quits or commit to giving their relationship a second chance?